Life is short, time moves fast, work gets stressful, and more often than not, we all tend to get caught up in the daily hustle and bustle of our busy, fast-paced lives. Suddenly, work-life balance becomes too much of an unattainable dream to reach. For hard-workers like yourselves, this shouldn’t be the case. Everyone needs a little bit of me time once in a while; a moment of peace to unwind after a hard day’s work, or a day free from distractions, only filled with the pampering and care our tired body needs. If you’re pressed for time and within a certain budget, luckily, here are eight spas just around the Metro that are ready to give you the R&R you deserve! Peacefully situated at the center of bustling Makati is I’M Onsen Spa, a relaxing refuge for busy bees looking for some well-deserved R&R after work or on the weekends. 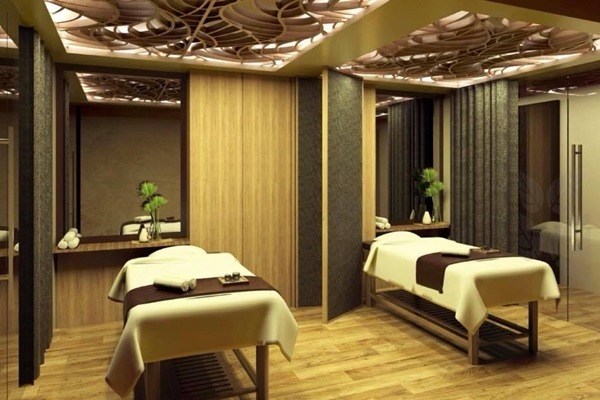 Being the largest spa in Manila, boasting a size of 3800sqm and an astounding height of 6 storeys, it’s no wonder that many retreat to this beautiful haven for their wide variety of therapeutic treatments. Their facilities include Japanese hot spring-like baths, steam and sauna rooms, couple rooms, and even an exclusive VIP spa suite for your own undisturbed spa day with your friends! To complete the experience, guests can also enjoy an array of complimentary herbal teas, as well as an all-day buffet. I’M Onsen Spa is located at 7852 Makati Ave. corner Kalayaan Avenue, Makati City. 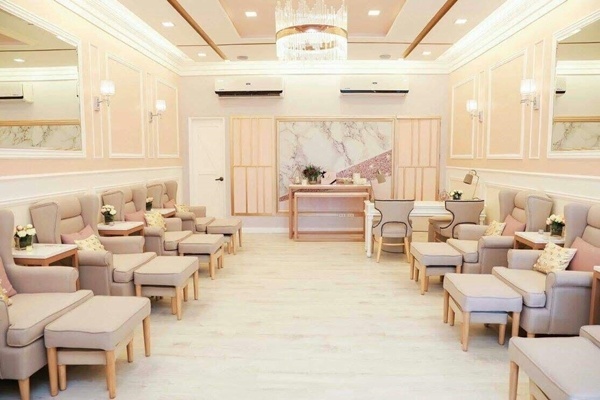 HOPE: Hand and Foot Wellness Center is the passion project of beauty icon Liza Soberano, born from her philosophy that living a lifestyle of wellness starts by choosing to take care of yourself from within. With the goal of having Hope as the go-to spot for anyone who wishes to simply kick back and relax after a long day, Liza specifically crafted her treatment packages to specifically pamper the most fatigued parts of the body that to her, do the the most work yet we tend to forget about: one’s hands and feet. From all-natural foot scrubs, relaxing foot soaks, to manicures, pedicures, reflexology hand and foot massages, paraffin treatments, and even moisturizing hand masks, Hope offers the undivided attention your hands and feet deserve. HOPE: Hand and Foot Wellness Center is located at 74 Tomas Morato Avenue, Creekside Square, Quezon City. 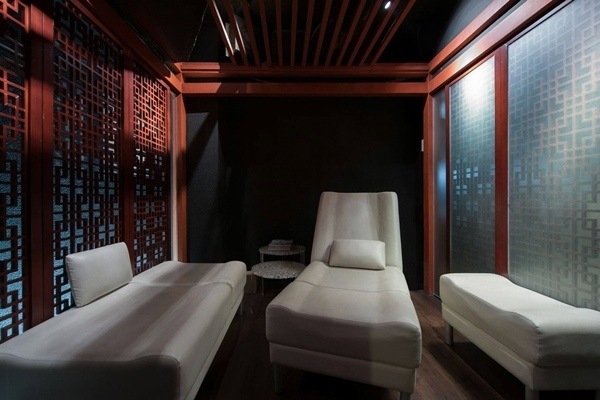 One of the top contenders in the luxury spa business is CHi, The Spa at EDSA Shangri-La Hotel, an urban oasis-slash-private sanctuary for anyone looking for the most premium spa services in town. Step through its magical doors and instantly be whisked away to a land of tranquility and luxury with its upscale interiors and zen ambiance. It’s the best place to treat yourself to one of the best traditional Hilot massages, as well as a facial and massage package, customized to fit your specific skin needs. It’s the best addition to your already high-class hotel stay! You can choose to bask in complete solitude with their private treatment rooms and personal steam showers, or have all those knots and tensions massaged away with the Chi Signature Massage for balancing, or the Aroma Wellness Massage, which makes use of the renewing power of your favorite essential oils. 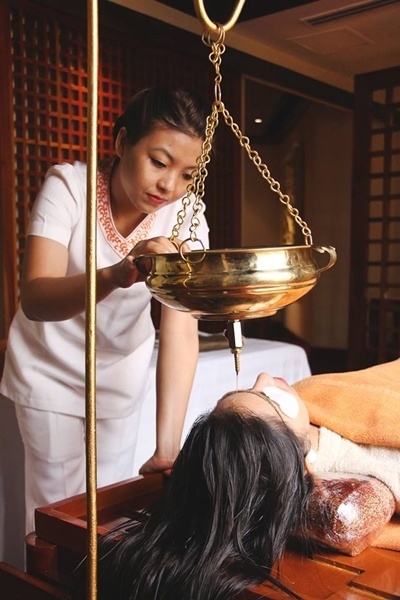 Chi, The Spa is located at 1 Garden Way, 4th and 5th floor of Shangri-La, Garden Wing, Mandaluyong. Feeling run down? Overworked? 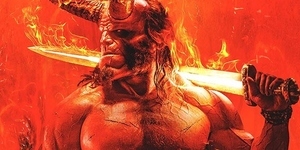 Tense? Provide your over-fatigued body with the rejuvenation and invigoration it needs for it to feel holistically well again at Qiwellness Spa, a quaint, zen spa hidden among the busy streets of Salcedo Village. Its belief in holistic healing through the merging of traditional Eastern and Western therapy techniques is used to specifically cater to whatever your body needs. Pick from their three main treatments: Qitranquility, for those who prefer light pressure and gentle strokes, meant to relax and soothe, Qivitality, for added pressure, or Qiharmony, which focuses on pressure points and reflexology. Cap off your session with a warm cup of herbal tea and strut the streets of Makati afterwards with a renewed sense of well-being! Here’s a combo-breaker: let’s veer away from the conventional wellness spas for a minute, and venture into the world of floatation therapy! Curious? Does the idea of floating on water, on your back, in your own private pod, enveloped by silence and free from any distractions, noise, and stimuli from the outside world appeal to you? 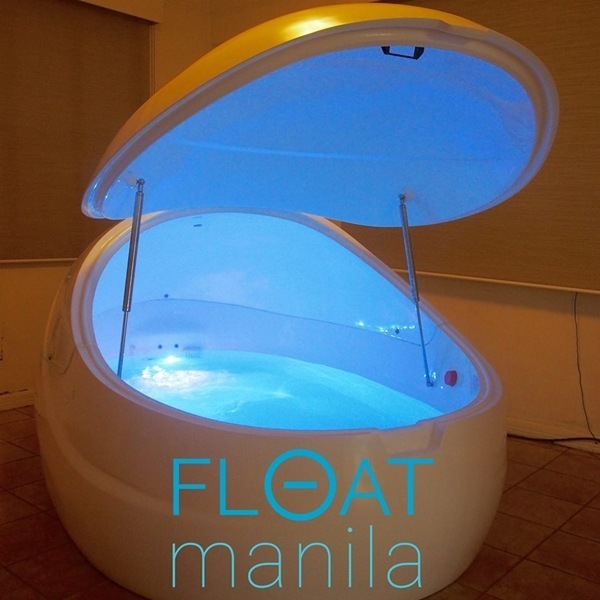 If so, then head over to Float Manila, where wellness is being redefined, one mindful float session at a time! 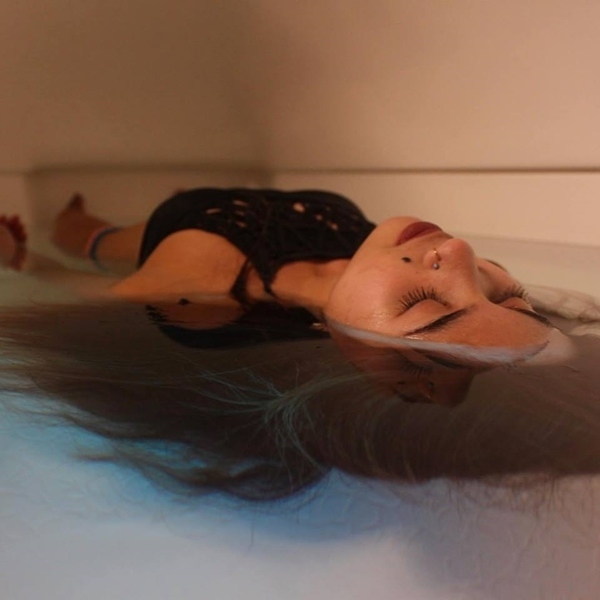 A novel opportunity to disconnect from the world to ultimately reconnect with yourself is what Float Manila’s sensory deprivation water pods bring to the wellness table. Many have attested to their tranquil states while floating and to that post-float relaxation high. Choose to float alone or with a friend, and you can even top off your session with a full-body massage to complete the experience. Mindfulness training is also offered for those interested to learn more about this phenomenon! Body scrubs, traditional massages, body wraps, hand and foot treatments, facial spas, and even ventosa cupping sessions are available, each service guaranteed to lift your spirits and relieve any tension, aches, and overall stress. 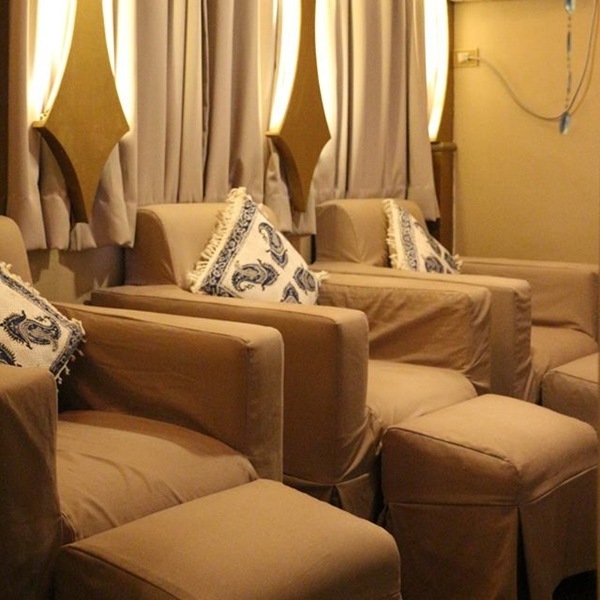 The Mandara Spa is located at 318 Mckinley Park Residences, 3rd Avenue corner 31st, BGC, Taguig City. 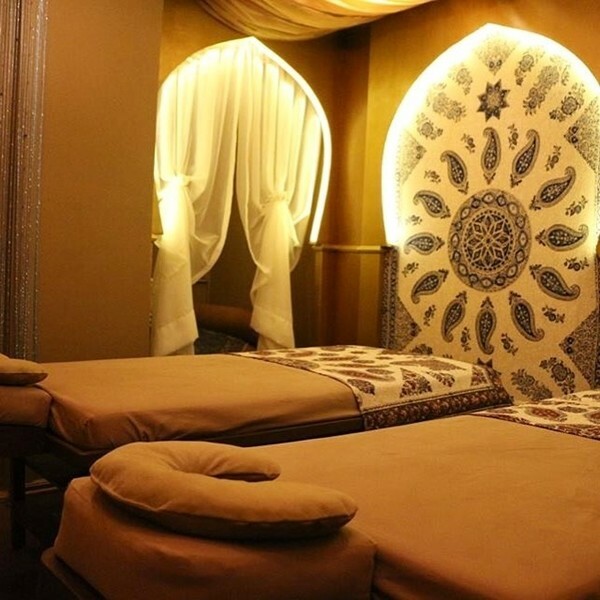 Experience Persian pampering firsthand at Aramesh Wellness Spa, where traditional healing techniques are key in this beautiful spa’s variety of therapeutic, calming treatments! Many bring their tired bodies over for the deep-tissue traditional Persian massage, known to reawaken the body’s circulatory system and rejuvenate immediately. You can choose to have your full body taken care of, or you may also opt for an express massage, which focuses on one specific body part instead. Soothing hot stones and stimulating Japanese bamboo massages are also available, as well as facials, scrubs, foot and hand care, and even laser treatments for the skin and body. If you want the luxury and privacy of having your own fitness and wellness center at your beck and call, complete with a beautiful view of Manila Bay, then why not pay The Marina Bay and Lifestyle Club a visit? With 20 private massage rooms, your body's every whim and want will be taken care of here - from organic body scrubs, Crystal Chakra healing touches, hot stone baths, sauna/steam rooms, to Signature Massages using the healing technique of your choice. And if that isn’t enough, every member also gets full access to the club's exclusive, high-quality amenities. Care for a dip in the infinity pool, peacefully situated on the roof deck? What about a complete workout at their fully-equipped gym and studio? There's so much to do at this upscale spa and club, you won’t want to leave! So, what are you waiting for? 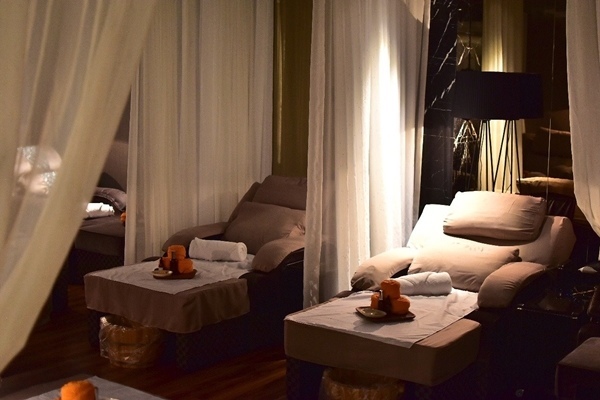 Treat your senses to that full-on pampering experience you know you deserve. The best haven of serenity and recovery that you’ve been looking for is only a drive away!